It was pretty easy. 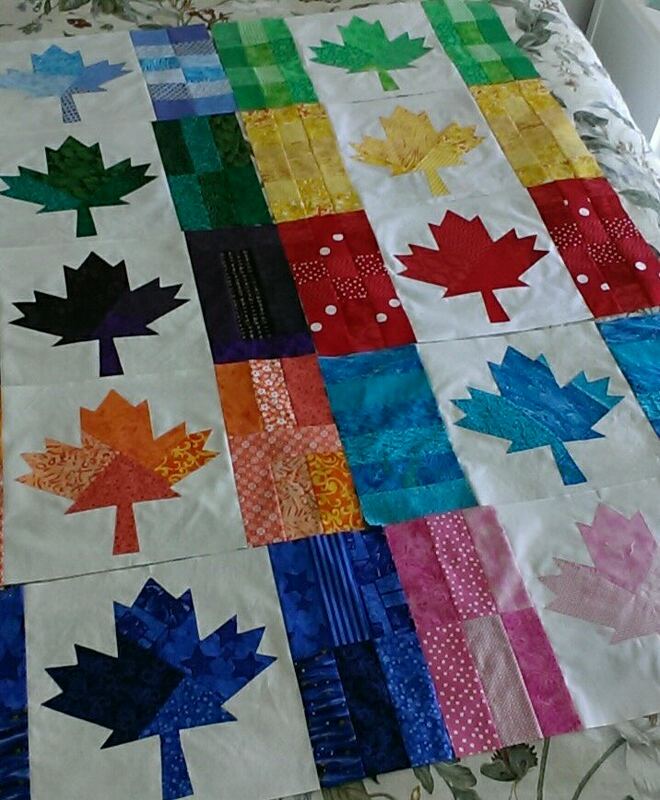 In just 15 or 20 minutes each day, the 10 Canada flag blocks are done. I started these blocks two weeks ago. They didn't take very long to finish. I will sew them together, and then it will come home with me in the spring to be quilted.